A few weeks ago, I attended the Architectural Digest Design Show 2018. It was a fun afternoon where I got inspired by home furnishings, accessories, lighting, and much more. Attending this event is basically "street dreaming" at it's best. I couldn't afford anything there but it's fascinating to see what other people are designing and buying. The thing I was most excited about was I got to bring my new camera to the event. I figured it would be the perfect place to bring it since these are the conditions I get asked to shoot in the most. I really wanted to test it out in the natural light of a huge event space. The camera held up pretty well and worked like a charm. I got a couple of interviews and shot lots of b-roll. You can see the Sony HXR-NX80 at work in the videos below. 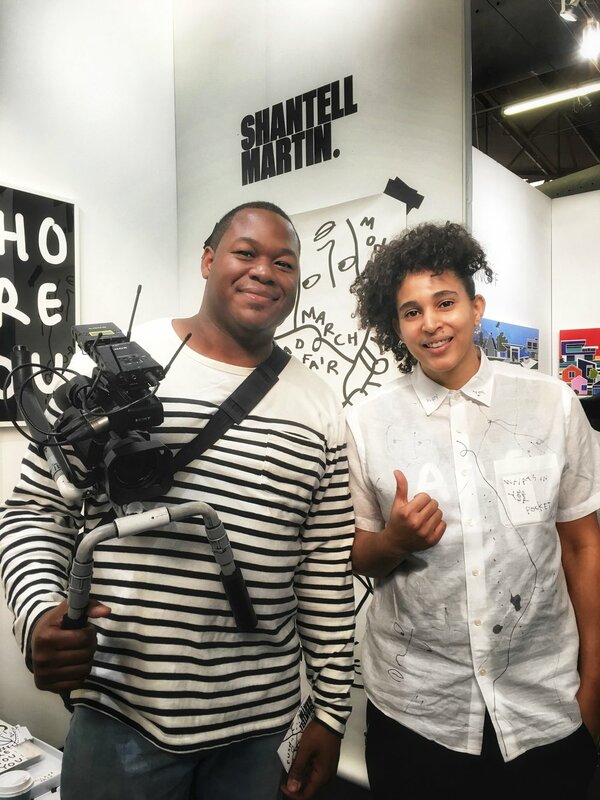 The icing on the cake of this day was that I got to meet Shantell Martin, who has become a really important artist over the past 5 years or so. She had her own video crew there so I didn't bother asking for an interview. She was very kind for taking this picture with me.